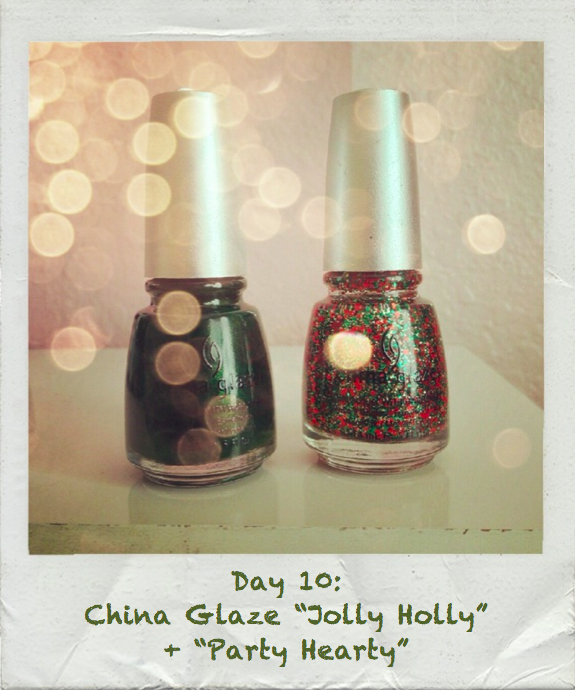 What I Blog About When I Blog About Books: 10th Day of Christmas: China Glaze "Jolly Holly" + China Glaze "Party Hearty"
10th Day of Christmas: China Glaze "Jolly Holly" + China Glaze "Party Hearty"
Get ready for another glittery notd featuring China Glaze's "Party Hearty." This time, I am layering it over a green polish, China Glaze's "Jolly Holly." 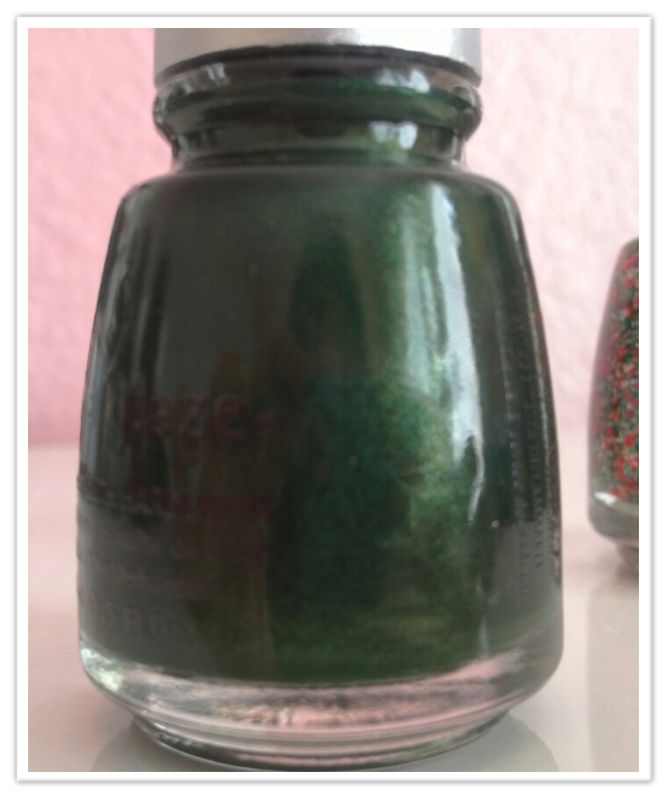 China Glaze's "Jolly Holly" is a deep shimmery green that was released in their holiday collection back in 2010 with "Party Hearty." You don't need this specific green to create this look, though I do enjoy that only 1 coat is needed for opacity. 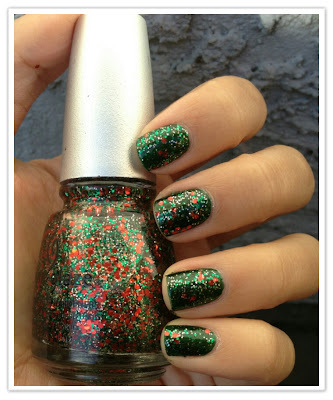 If you have been keeping up the 25 Days of Christmas Manicures then "Party Hearty" needs no introduction. 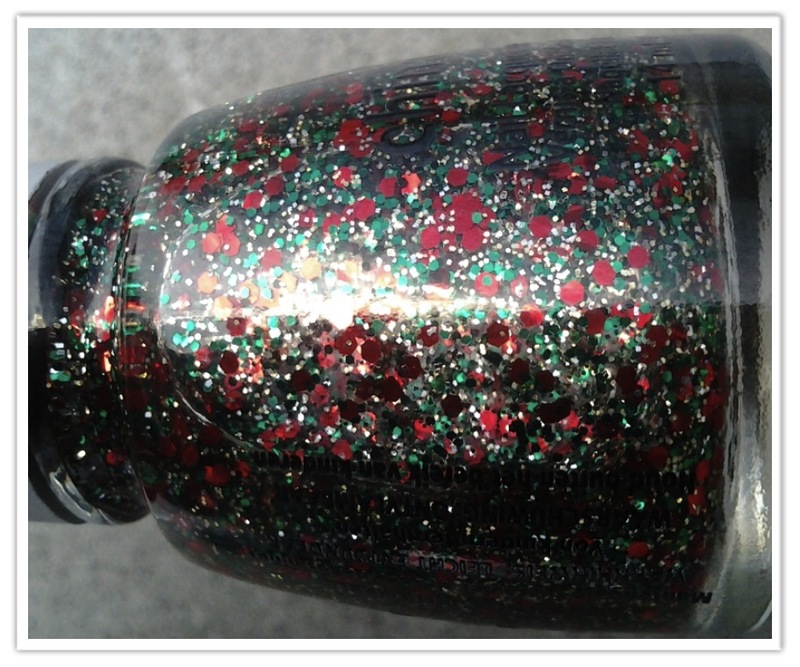 It is a gold, red, and green chunky glitter that is the definition of a Christmas polish. 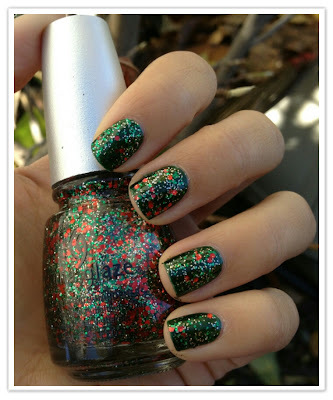 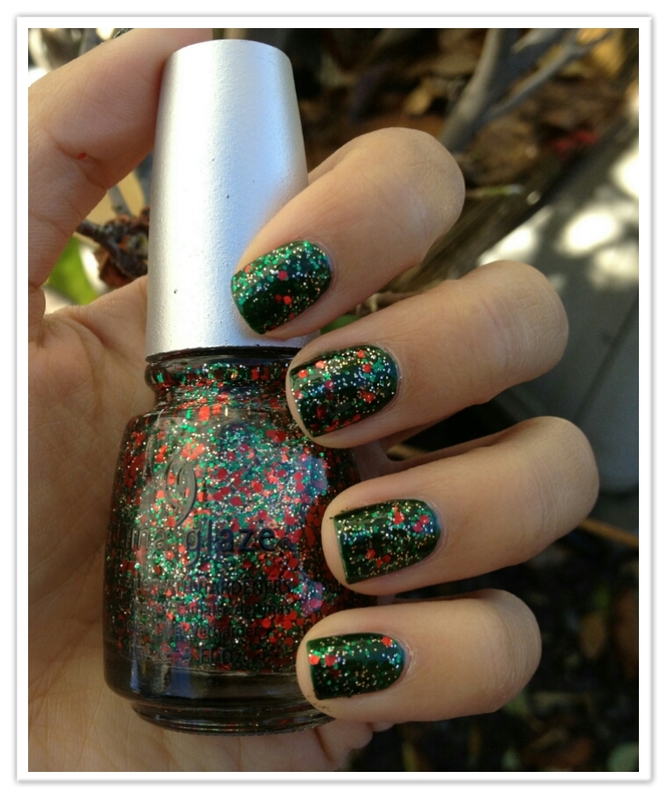 I have already done two holiday-themed notd posts with this glitter, as depicted below. 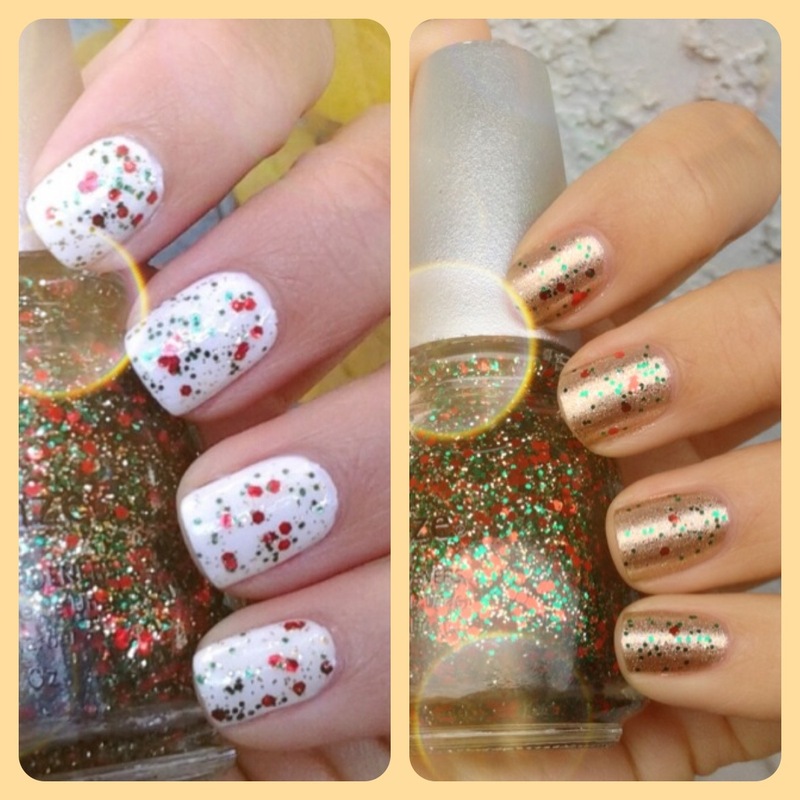 If you want to see more photos of the Day 3 combination (over white) you can that notd here. 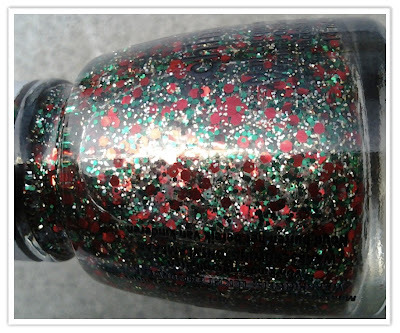 Or, if you would like to the Day 7 combination (over gold) then you can that notd here. And without further ado, here's today's notd. I think the best part of this manicure is how it makes the smaller gold glitters stand out (unlike the glitter put over the white, or the gold). Whenever I sport this manicure, I am always hesitant to remove it!